“Serving those who served.” That’s the motto of the Gilroy Veterans Memorial Building. Built in 1951 for $90,000 as a place for local service men and women to gather and socialize, the 6,350-square-foot hall in downtown Gilroy needs a major remodel. Organizers are asking local residents to help with the project and donate to the cause in a $250,000 fundraising campaign. 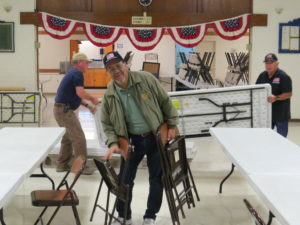 Phil Garcia, board president for the South Santa Clara Valley Memorial District, helps set up chairs for the Friday night bingo game. Life Media Group, the publishing company that distributes Gilroy Life, wants to encourage local financial support in fixing up needed repairs for the building at 74 W. Sixth Street. It is working with the leaders at the South Santa Clara Valley Memorial District, which operates the building, in a special promotion. After the full sum is raised, we will include the names of individuals and businesses that give a tax-deductible donation of $1,000 or more to the campaign in a special thank-you ad. To date, $27,757.14lp has been raised for the project. Upgrade work has been started by replacing the Veterans Building’s entrance doors. The campaign also seeks to raise $20,000 in contingency funds. The biggest expense, at $120,000, will be upgrading the kitchen area, making it larger and adding modern equipment so that the building can be more attractive for event rentals that might require on-site catering services. Another need for the updated kitchen is to make it certified by the county health department so it can be rented to people who want to bake on a commercial level for sale but don’t have a facility to do so. The money generated by this source would go to maintaining and operating the building, said Christine West, building executive director. And potentially it can be used to start a culinary program for veterans. A hat worn by Perez. The building has a 3,333-square-foot meeting hall that can fit up to 175 people for an event such as a wedding, birthday party or anniversary gathering, Perez said. It’s also often rented out for memorial services as well as a weekly Friday night bingo game. The rental fee for a memorial is $175 for a veteran or a veteran’s spouse or $450 for the general public. Over the course of about 12 months, the fundraising so far is about 10 percent toward its goal with $26,257 raised. In September the veterans put on a special tri-tip barbecue fund raiser and raised $3,600. A raffle in December raised $1,055. Every dollar helps, Perez said. The group has looked at other sources of funding including applying for grants, West said. It’s harder to raise money to remodel an existing building because it doesn’t have as much appeal compared to endeavors that might more directly help veterans, she said. The remodel will benefit local veterans because the building’s mission is to provide a place for them to socialize, West said. 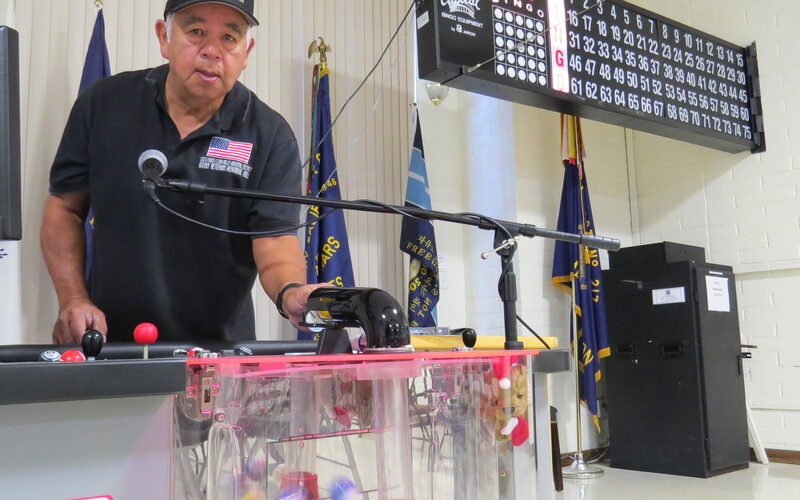 The VFW and American Legion jointly operate a full-service bar just off the entrance lobby for people who served in the military to gather for a drink and chat with friends or play pool to pass the time. The hall is home to the American Legion Post 217, the John A. Berri Veterans of Foreign Wars Post 6309 and their respective auxiliaries. Among the 300 veteran members who use the building on a regular basis is Gilroy resident Tom Yamano, who served in the U.S. Army from 1966 to 1969. Not just Gilroy veterans but former service men and women who reside in Morgan Hill and San Martin use the facility on a regular basis as members, said John Ceballos, a board director. The current commander of the VFW Post is Al Alciado, a Morgan Hill resident. 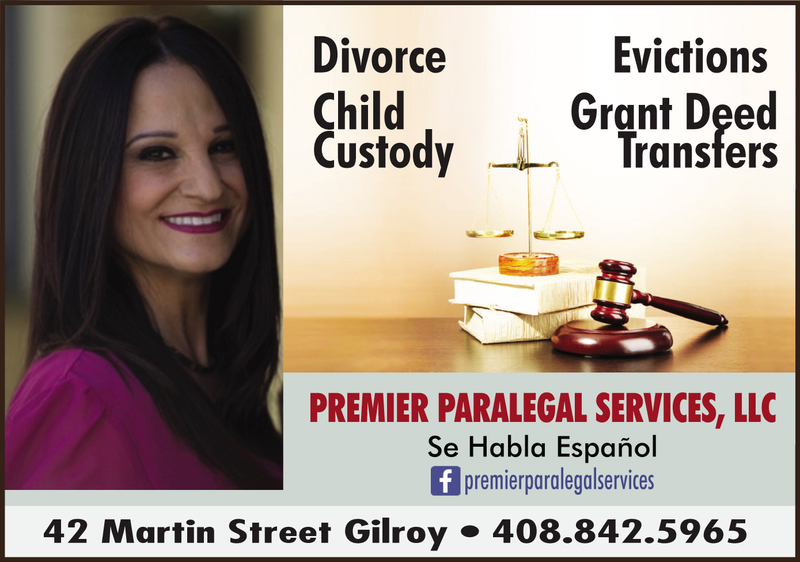 Ceballos served in the Navy for eight years and later with the California National Guard for 22 years. Morgan Hill used to have a veterans post but it was closed because of “lack of interest,” he said. 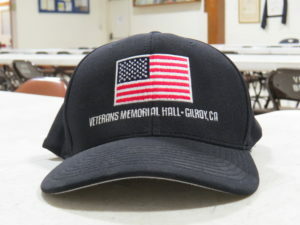 The Gilroy VFW post brought those veterans into its organization. Operating costs on the building is paid for from money from rentals as well as a small property tax on Gilroy residents and businesses. 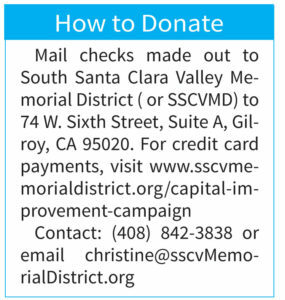 The administration of the funds is done by the Santa Clara Valley Memorial Services District, which was established by the state of California when the building was first built. Even though Morgan Hill and San Martin veterans benefit, no money comes from those communities. In the future, the district may try to put a measure on the ballot to broaden its range, Ceballos said. 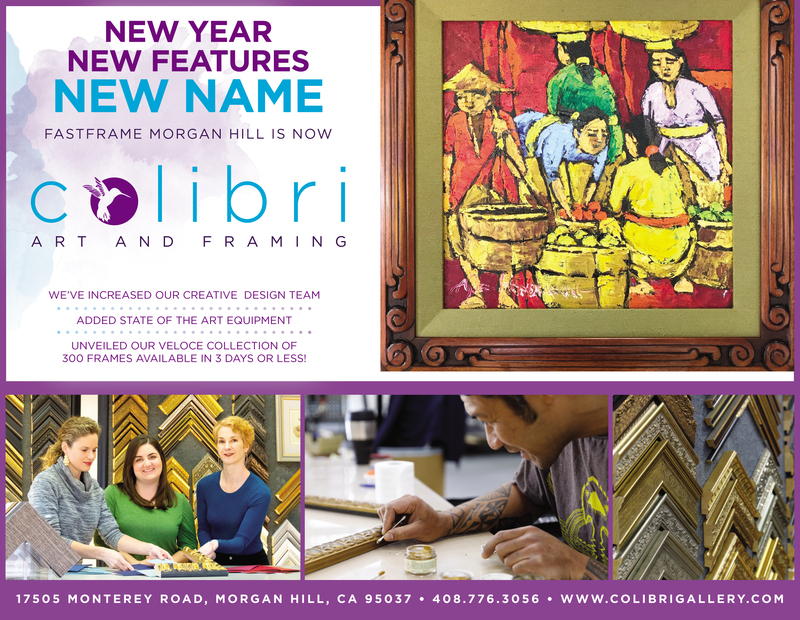 “One day, we’d like to extend our district to cover South County, which would cover Morgan Hill, San Martin and here,” he said. Modernizing the Veterans Building with a major remodel will make it not only useful for veterans but the entire South Valley region as well, said Building Board President Phil Garcia, who served two years in the United States Army, including one year in Vietnam with the 101st Airborne Division.